When your cruise ship docks in Brisbane, see the city on a private tour with an expert local guide who shares the city’s current hotspots and gritty history. This is not a cookie-cutter sightseeing tour, rather you discover the city's best restaurants, bars and brewpubs, trendsetting fashion designers, public art and architecture among laneways where new energy has spawned a cultural renaissance. 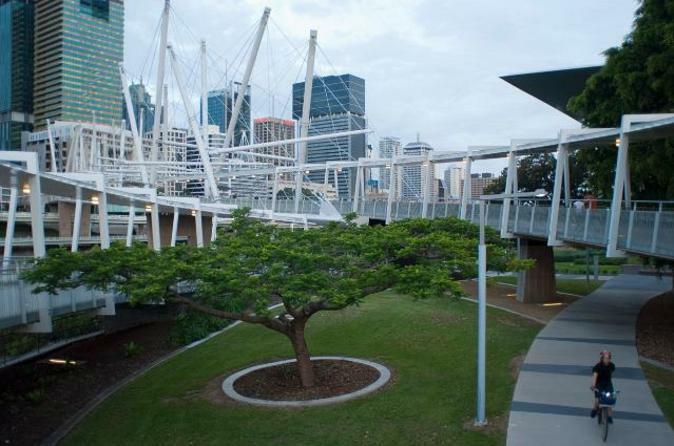 Learn about Brisbane’s origins as a brutal penal colony, the Aboriginal peoples, the legacy of World War II and preparations for the ANZAC Centenary. You might even hop on a ferry for another perspective on the city. Enjoy a customized experience on this insider tour with a private guide.